Published by The University of Virginia Press, Italy and the Environmental Humanities. Landscapes, Natures, Ecologies is a volume edited by Serenella Iovino, Enrico Cesaretti and Elena Past. 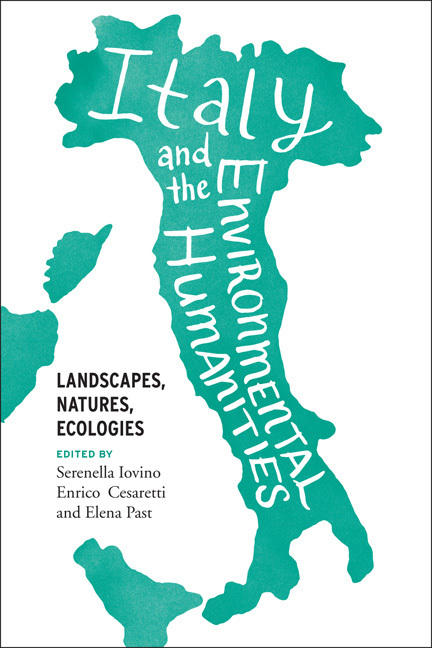 It provides the first attempt in examining Italy through the lens of environmental humanities. Many contributors offer a wide spectrum of approaches to investigate the main concerns of Italian history, landscape and literature in the Anthropocene. Italy and the Environmental Humanities. Landscapes, Natures, Ecologies, a cura di S. iovino, E. Cesaretti e E. Past, The University of Virginia Press 2018. Il volume raccoglie una serie di contributi relativi a diversi campi di ricerca, tesi a definire i contorni dell’identità paesaggistica multipla e porosa dell’Italia, facendone un caso di studio per le environmental humanities sul tema dell’Antropocene.